21. Government Gazette July 5th 1945. On 5 July 1945 Australians awoke to the news that the Prime Minister, John Curtin, had died in the early hours of the morning. The news was not … Continue reading 21. 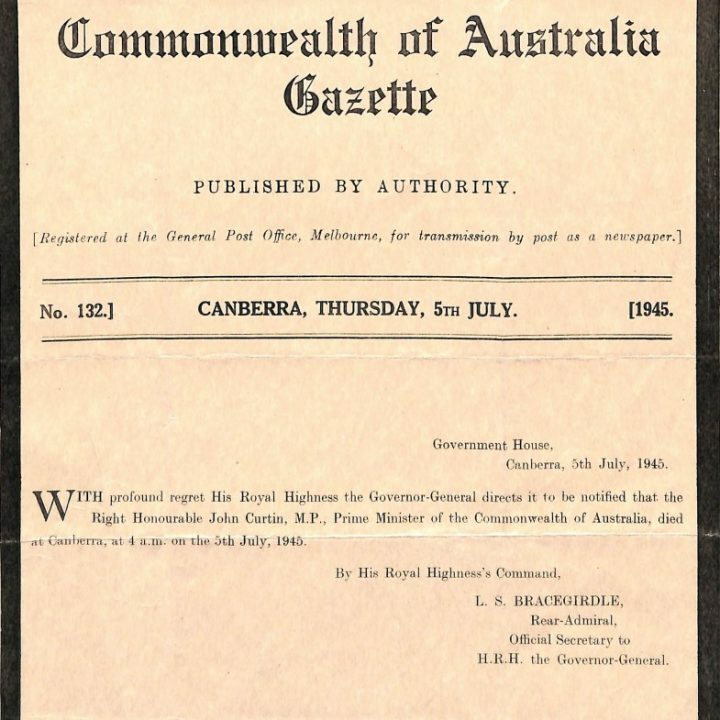 Government Gazette July 5th 1945.